The nose is perhaps the most prominent feature of the face. Rhinoplasty can reshape your nose, making the overall proportion of your facial features more pleasing and harmonious. You may be unhappy with the prominence of the nasal bridge or the size of the nasal tip. Each of these segments can be altered to shape a nose that is more suited to your face. Although there is no age limit for rhinoplasty in Virginia, most individuals seek this operation after the nose is fully developed. This occurs in the mid-teens. In older individuals, the only deterrent to surgery may be their general health. The Virginia nasal surgery operation may be performed with the patient under local anesthesia with sedation or under general anesthesia. The incisions are placed within the nostrils and are not seen. Occasionally, a small incision may be placed on the outside between the nostrils or in the base of the nostrils. These incisions usually heal very well, and the scars are barely visible after a while. The nose may be reduced or built up in order to create the form that can harmonize with the other facial structures. To do this, it may be necessary to place small pieces of bone or cartilage under the skin to adjust the underlying architecture of the nose. The skin is then redraped over this new framework. 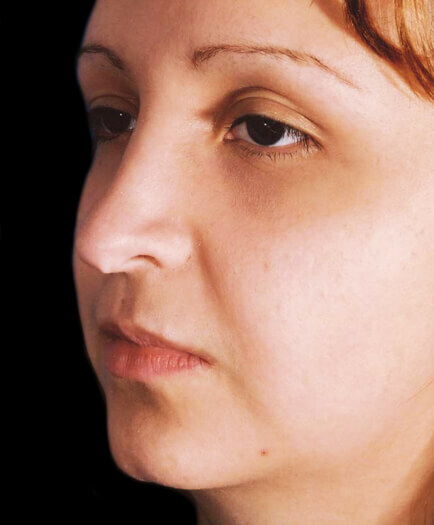 In certain individuals, it may be necessary to correct an internal deformity of the nose. Such internal deformities can cause blockages of the nasal airway and produce problems with breathing. The correction of such breathing problems can be done at the same time that the external features of the nose are addressed. Combining these procedures does not pose additional risk to the patient. After Virginia nasal surgery, you will be required to wear a nasal splint for a week. You may have swelling and discoloration around the eyes that generally subsides within 7-10 days. You may return to your normal activities shortly after surgery and to strenuous activity within a few weeks. What is rhinoplasty (nasal reshaping surgery)? Rhinoplasty is an operation that shapes the nose and may be used to improve your ability to breathe. Who is a candidate for rhinoplasty (nasal reshaping surgery)? Any individual who is not satisfied with the shape of his or her nose is a good candidate for Virginia rhinoplasty. Apart from a purely cosmetic reason, one may have a medical reason for rhinoplasty. In such an individual, rhinoplasty can improve the ability to breathe. Most individuals seek this operation after the nose is fully developed. This occurs in the mid-teens. In an older individual, the only deterrent to surgery may be his or her general health. Of course, like any surgery, the most suitable patient is the one who has reasonable expectations about the results. Who is not a good candidate for rhinoplasty (nasal reshaping surgery)? There are no real limitations for nasal surgery unless your health makes an elective operation unadvisable. A person who has unrealistic goals is not a good candidate. Having very thick or very thin skin can be a deterrent to surgery. Your surgeon can tell you if he thinks that a good result is possible in your case. 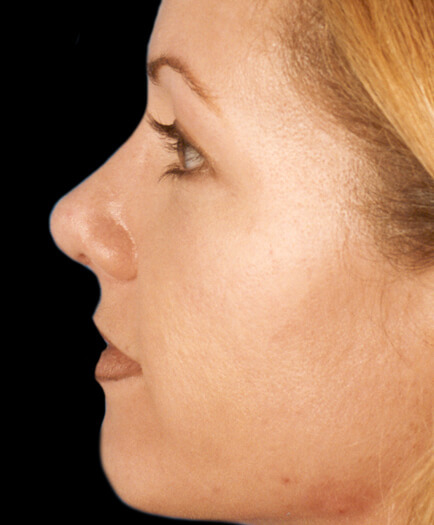 What does rhinoplasty (nasal reshaping surgery) accomplish? The shape of the nose is altered in such a way as to make a nose that is more suited to your face. If you have breathing problems, the blockage inside the nose is corrected so that you can breathe more easily. Will rhinoplasty (nasal reshaping surgery) cure my allergies? Not usually. Allergies and chronic sinus problems are not commonly changed by a simple rhinoplasty. You may need to see an allergy specialist or an ear, nose, and throat doctor to treat your sinus problems. What happens during the first consultation for rhinoplasty (nasal reshaping surgery) in Virginia? In the first consultation, you will have a chance to discuss your concerns with our patient care coordinators and Dr. Marefat. We will explain what you need to know about your Virginia rhinoplasty procedure and help to determine what is best for you. You will receive information booklets and pricing on the procedure. How is rhinoplasty (nasal reshaping surgery) done? In Virginia rhinoplasty, the incisions are placed within the nostrils and are not seen. Occasionally, a small incision may be placed on the outside, between the nostrils or in the base of the nostrils. These incisions usually heal very well, and after a while, the scars are barely visible. The nose may be reduced or built up in order to create a form that compliments the other facial structures. To do this, it may be necessary to place small pieces of bone or cartilage under the skin to adjust the underlying architecture of the nose. The skin is then redraped over this new framework. What are the goals of rhinoplasty (nasal reshaping surgery)? Our objective is to improve the shape of your nose so that it is more suited to your face. If you have problems breathing, we remove the cause of the obstructed airflow. This will improve your ability to breathe. What kind of anesthesia will I have during rhinoplasty (nasal reshaping surgery) in Virginia? Dr. Marefat prefers to perform this operation with the patient under general anesthesia. In certain less complicated cases, it may be possible to do this surgery using straight local anesthesia or local sedation. What can I expect after rhinoplasty (nasal reshaping surgery)? After surgery, you will have a mild-to-moderate amount of drainage from the nose. You will need to rest for the first 2 or 3 days, but most people are up and about shortly after surgery. We generally recommend that our patients take off 7 days from work. Heavy lifting and exercising should be avoided in the first 2 weeks. Your body will tell you when you are ready to get back into your regular exercise routine. You will have a nasal splint in place for a week. This helps in the attachment of the skin back to the underlying tissues after surgery and reduces the chance of fluid collection under the skin or movement of the nasal bones and cartilage grafts during the critical early days after surgery. During this time, you can shower, but you cannot get your head wet. Once the splint is off, you can shower normally. There will be some numbness associated with Virginia rhinoplasty surgery. This numbness usually persists for about 4-6 weeks. A moderate degree of swelling is normal after this operation. The swelling is related to accumulations of fluid in skin and subcutaneous tissues. Most of the swelling subsides in the first 2 or 3 weeks after surgery. 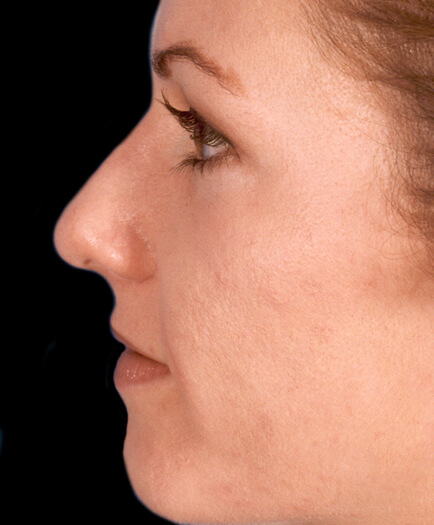 Minor asymmetry between the two sides of the nose can be seen after rhinoplasty. No one has completely symmetrical nostrils, and you have to accept these minor differences. Will rhinoplasty (nasal reshaping surgery) be natural-looking? Unnaturalness and imperfection in the result of rhinoplasty is still the most common aesthetic complication of this surgery. The nose is one of the most visible parts of your face, and, unfortunately, even small irregularities in the contours of your nose could be visible. Most surgeons are well aware of this and try their best to avoid such visible signs of surgery. However, even when everything is done right, there is still a chance that you may develop some irregularity. If this occurs, you may need to fix the problem in a touch-up procedure. This touch-up procedure is done approximately 9-12 months after the initial procedure. What are some of the complications of rhinoplasty (nasal reshaping surgery)? Reading about complications can be quite scary. Many people cannot comfortably sit through a consultation session without having some real doubts about surgery. But it is different when you have these complications explained to you by Dr. Marefat. He can put it in perspective for you and specify the likelihood of such complications. Most complications are very rare. Some complications are less rare and need to be explained to you in more detail so that you understand how we would tackle these problems if they occur. The purpose of explaining risks and complications is for you to know what steps we would take to treat you and put you back on the road to recovery. Remember that every surgeon has his or her own way of treating problems. You must go over these potential risks with your surgeon to gain better insight and understanding. When and where are rhinoplasty (nasal reshaping surgery) touch-up procedures done in Virginia? Minor touch-ups are done after 3 months. More significant touch-up procedures are done after 9-12 months. In either case, these touch-up procedures are usually much simpler and less painful than the original procedure. Dr. Marefat can do them in the office with a small amount of local anesthetic solution if it is a minor deformity or problem. However, if the problem or irregularity were more complicated or difficult, he would do it in the outpatient surgery center using general anesthesia. When are the rhinoplasty (nasal reshaping surgery) sutures removed? There are very few sutures in rhinoplasty procedures in general. These usually come out in the first week. You may have absorbable sutures that do not need to come out. How many visits do I have after rhinoplasty (nasal reshaping surgery) in Virginia? We like to see our patients frequently after surgery. You are seen by the doctor or nurse within 2-3 days of surgery. Then, our normal postoperative routine is 1 week, 1 month, 3 months, 6 months, and 12 months. Of course, if there is a need, you may be seen more often. After the first year, we encourage our patients to come in for routine follow-up visits every 3-5 years. You should be able to wear makeup if you've had rhinoplasty. We do not recommend putting makeup on your incisions. This may result in tattooing of the skin by the pigments in the makeup. Am I a good candidate for rhinoplasty (nasal reshaping surgery) in Virginia? You are a good candidate for rhinoplasty if you have a correctable deformity, normal skin thickness, good general health, and realistic expectations. This does not mean that you cannot have rhinoplasty if you do not meet these criteria. The best results are seen in individuals who have moderate skeletal deformities of the nose with a good quality skin cover. Generally, the younger you are, the better a candidate you are for surgery. But the physiological age of a person is more important than the chronological age. That is to say, you may be 60 years old, but your skin and general health may be better than that of most 50 year olds. How do I pay for rhinoplasty (nasal reshaping surgery)? Are there rhinoplasty (nasal reshaping surgery) scars? Yes. Most of the scars are inside the nostrils and, therefore, not seen. The only external scar is located between the two nostrils. This scar is very small (about 1/4th of an inch) and is usually not visible. After several months, this scar fades and is hardly visible. Does rhinoplasty (nasal reshaping surgery) hurt? The pain involved in Virginia rhinoplasty is very tolerable. We have heard our patients describe it as heaviness of the head or just having a badly stuffed nose. Many patients do not finish the pain medications prescribed to them for pain relief. Having said that, remember that pain is very subjective, and it is not easy to predict what degree of pain you will have. Will I be awake during rhinoplasty (nasal reshaping surgery)? If you are just having a small area of your nose corrected that can be done in the office, then you will be awake. If you are having a normal rhinoplasty, the procedure will most likely be done in an outpatient facility under general anesthesia. 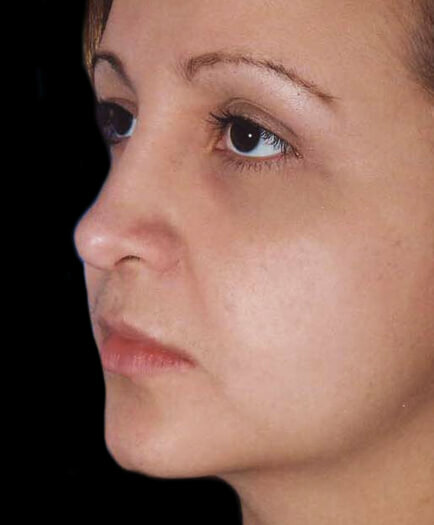 Virginia rhinoplasty is an operation of subtleties and finesse. If you want a good result, it is better to let the surgeon concentrate on your nose and not on your level of discomfort during the procedure. Where will the rhinoplasty (nasal reshaping surgery) be performed in Virginia? Depending on the nature of the case, the surgery can either be performed in the office or an outpatient facility. For example, if you have a minor amount of excess cartilage in the tip of your nose, it may be feasible to do this in our Virginia office under local anesthesia. On the other hand, if you want to have your entire nose corrected (removal of a high hump and narrowing of the nose), then you are much more likely to have the procedure done in the outpatient facility. Only in rare situations, in which the patient may have other risk factors, does Dr. Marefat suggest surgery in a hospital environment. Are medical photographs taken of the rhinoplasty (nasal reshaping surgery)? Yes. In all cosmetic and reconstructive cases, medical photographs are mandatory. This is the only way for us to compare before and after results. Photographs in plastic surgery serve the same role that x-rays serve for orthopedic surgery. How do I get started with rhinoplasty (nasal reshaping surgery) in Virginia? Dr. Marefat and the staff at Metropolitan Plastic Surgery would be happy to help you set up a private consultation to discuss Virginia rhinoplasty (nasal reshaping surgery). Schedule an appointment online or call one of our locations at 703-516-7600 (Arlington area) or at 703-560-9583 (Woodbridge). Are there financing options for rhinoplasty (nasal reshaping surgery) in Virginia? Dr. Marefat offers a number of financial assistance programs and payment programs to cover the cost of rhinoplasty (nasal reshaping surgery) in Virginia. Please visit the patient financing section of our website for more details or ask the staff at Metropolitan Plastic Surgery about these options so that you can get started with rhinoplasty (nasal surgery) in Virginia today.